Benseron Hospitality today announced that their flagship product, Linga POS, integrates with Oracle NetSuite, a global leader in ERP solutions, for 2-way synchronization of sales, customer, inventory and product data. Linga POS provides restaurant and retail technology that is easy to use, yet powerful for centrally managing franchise locations for inventory, customer loyalty, point of sale, staff management, and more. Through the integration with NetSuite, merchants can implement a scalable POS solution with an enterprise view of financials, transactions, and customers through the NetSuite platform. Responding to market demand in the US and globally, Linga POS has built a suite of integrations and extensions to support enterprise store transactions, customer touchpoints, inventory, and online orders. 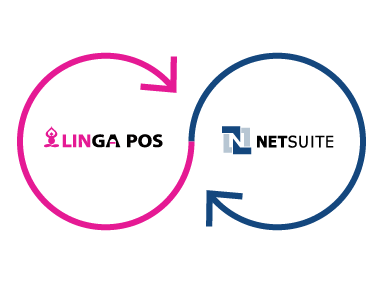 The new integration with NetSuite helps solidify Linga POS as a leader for cloud-based franchise point of sale systems globally. Integrating with NetSuite provides merchants with a cloud-based ERP system that includes workflow and business automation, real-time visibility, and connections to powerful hubs for CRM, human capital management, and finance. “Linga POS provides a consistent and easy to use interface to manage the day to day operations for franchise businesses, while collecting valuable customer data. Integrating Linga with NetSuite ERP synchronizes data between both systems for critical decision making at the store, region, and enterprise level,” says Benseron Hospitality CEO Onur Haytac. Benseron Hospitality offers state-of-the-art technology to help restaurant, QSR and bar owners run their businesses more profitably. Benseron offers POS systems that work with mobile tablets, self-serve kiosks, or terminals. Their flagship product is Linga POS, an enterprise-ready cloud-based platform sold globally. The Naples-based company, founded in 2004, also offers technology for online ordering, payment processing, inventory management, and customer loyalty. For more information please visit http://www.benseron.com. NetSuite Inc. is a leading vendor of cloud computing business management software suites. NetSuite enables companies to manage core key business operations in a single system, which includes Enterprise Resource Planning (ERP), Accounting, Customer Relationship Management (CRM), and Ecommerce. NetSuite’s patent-pending "real-time dashboard" technology provides an easy-to-use view into up-to-date, role-specific business information. For more information about NetSuite Inc., please visit http://www.netsuite.com.